By 2030, China will be the world's largest tourism destination, holidays in Outer Space will be the ultimate luxury experience, extreme Swedish ironing will be an Olympic Sport, embedded technologies will be the norm in future tourists and skiing in the Alps will be no more. These are some of the changes that will occur between now and 2030 that will change world tourism. Tomorrows Tourist: Scenarios & Trends enables readers to imagine what a future tourist might be, where they will go and what they will do. This is the most comprehensive analysis of how world tourism is changing and what it means for destinations. Each chapter consists of a scenario about a future tourist, which is then is backed up with evidence and trends plus a number of assumptions about the future. 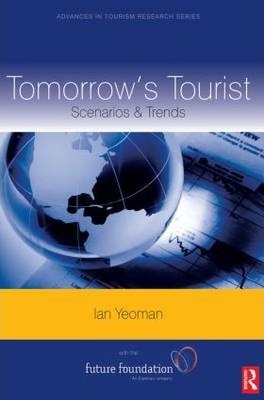 The book is accompanied by its own website at http://www.tomorrowstourist.com which is owned and regularly updated by the author. Section Three - What if? Section Four - How to?